From left: Zac Franck, Alexus Hanserd, Parker Scalzo. 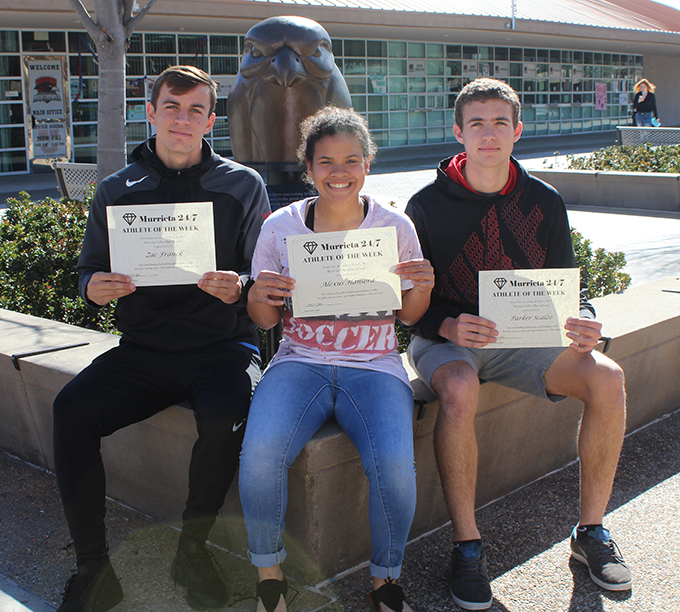 Three soccer players were honored for their recent performances. From the boys soccer team, Zac Franck and Parker Scalzo were the final players honored on a team that ended its season last week. Both performed consistently throughout the season. Alexus Hanserd has had a standout season for the girls soccer team, which finished the regular season with a 12-6-3 record (4-4-2 in league play).